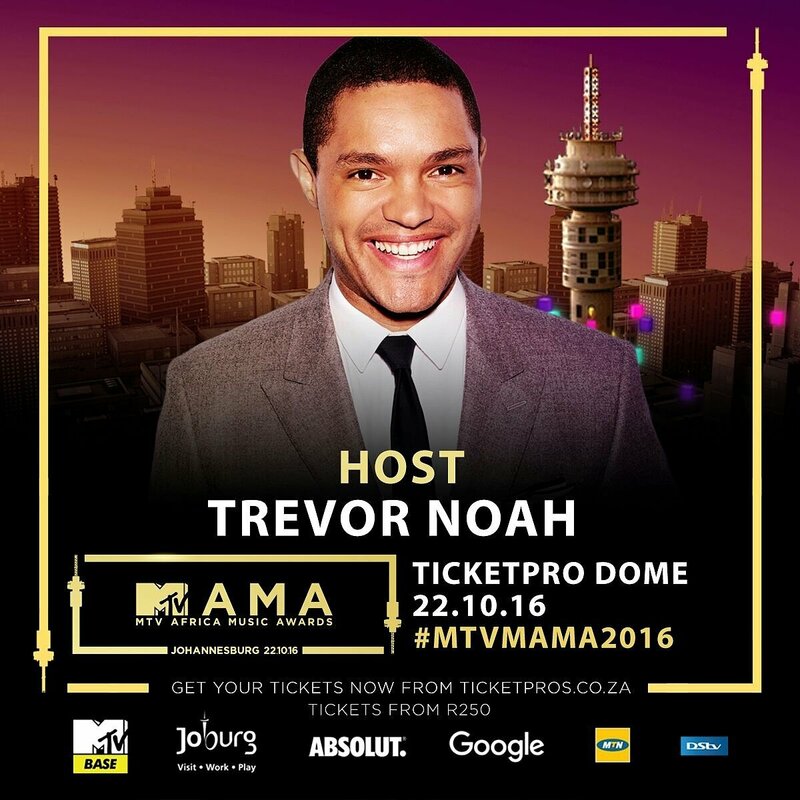 South African comedian, Trevor Noah is this year's host of the continent's most sought after ceremony, the MTV Africa Music Awards, commonly known as MTVMAMA. The event will be held at The TicketPro Dome on Saturday 22 October 2016 at 20:00 in Johannesburg. MTV Base made the announcement this morning on their twitter after a long wait of teasers and #MTMAMA2016Host predictions. The news was received with warm remarks and excitement from fans across the continent. The Daily Show host also took to twitter to confirm the good news. MTVMAMA is the definitive annual celebration of African and international talent and achievement, MAMA 2016 will therefore recognise and reward musicians and achievers who have made the most impact on African music and youth culture over the previous year. The ceremony will feature stunning performances from African and international artists along with the show’s signature cross-genre and cross-border collaborations. Catch African stars Yemi Alade, Nasty C, Babes Wodumo, Ycee, Alikiba and Cassper Nyovest as they set out to dazzle fans with electrifying performances at Joburg’s first ever edition of the MTV Africa Music Awards Johannesburg 2016 (MAMA). 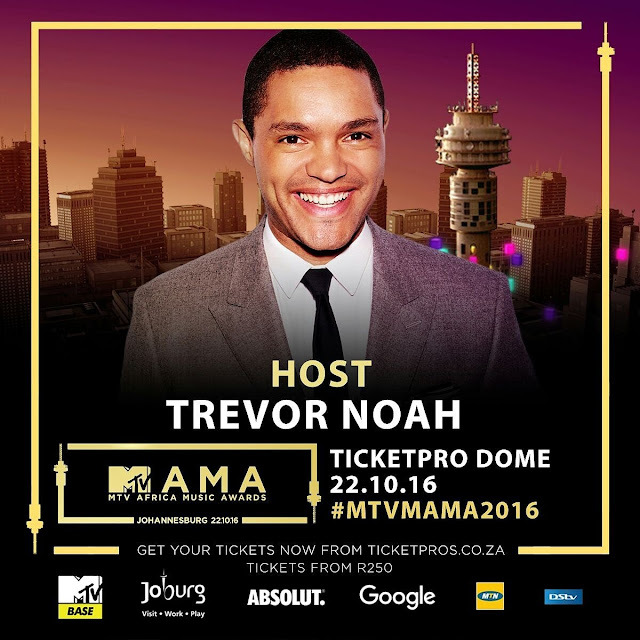 Highlighting the “gold standard” in contemporary music, creativity and achievement, The MTV Africa Music Awards Johannesburg 2016 promises to be the biggest and best ever and a unique celebration. Tickets are available at ticketpro. For more updates log on to mtvbase.com.